For public safety officers, the radio is vital – it’s said that some police officers would rather have a radio than a gun. And so dedicated public safety networks such as TETRA are carefully tested to ensure that all necessary geographical areas are covered, and the network has the resilience and capacity needed. This will almost certainly be a requirement in the operating contracts between user organisations and their network provider. But the landscape is changing as commercial LTE and 4G networks are adopted as a complement to or even a replacement for TETRA or P25. Network testing to ensure these meet all the needs of this demanding community will become a vital step in their selection and adoption. Commercial mobile network operators (MNOs) are driven by revenue. Coverage in marginal areas may be limited, with the operator providing the minimum required in its licence. Even where there is radio coverage, the data capacity could be restricted. There are several methods for testing the network. First, where the radio acts as the primary monitoring device, uploading its data through the network to an application – there are drive-testing applications widely used in public networks, as well as more focused applications developed for public safety agencies. Secondly, solutions can be tested to analyse service in more detail, drilling down to the protocols as well as tracking down interference. These approaches can be used in combinations – perhaps drive-testing during the selection of a public network, then ensuring compliance with agreed service levels. Other types of specialised testing are used to measure capacity and analyse specific problems such as interference. Jukka Manner from the University of Aalto in Finland has been looking at the approaches needed for testing a hybrid network. 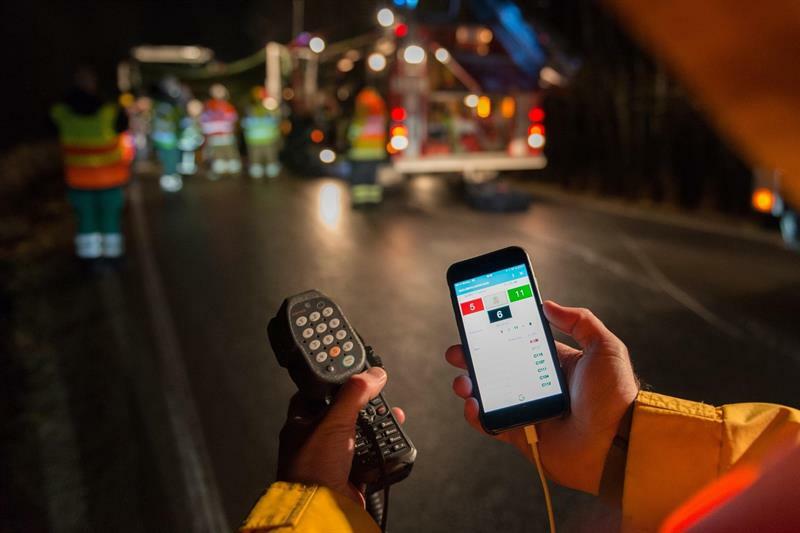 Finland is moving in this direction with commercial 4G as a complement to the TETRA network widely deployed there; in effect the FirstNet model. Their research has looked at a scenario in which the public safety agency does not have access to the MNO’s network management tools, but still needs to verify the performance of the end-user applications. Airbus’s customers have plans to introduce broadband services to complement existing TETRA/Tetrapol networks in a hybrid model. In many cases, 4G/LTE services will be provided by commercial MNOs. In these cases, the Airbus Viewcor solution can be used to monitor the service quality of both types of network, TETRA/Tetrapol and 4G/LTE. Joni Torpo, solutions manager for network management portfolio, and Tapio Savunen, director for strategic marketing in the Secure Land Communications division at Airbus, explain: “In the case of TETRA networks, Viewcor monitors the base stations to collect and consolidate data, providing visualisation and analytics to monitor and control the network service quality. When the broadband service is provided by an MNO, a Viewcor app in the end-user’s device tracks the service quality and automatically sends measurements to Viewcor. Bittium is a Finnish company working in the areas of rugged handsets, public safety and military communications networks, network testing and secure remote connectivity. Simon Addis, senior specialist, and Anton Gyllenberg, SafeMove product manager, describe the company’s analytics tool. “The LTE coverage maps offered by cellular operators are traditionally based on computer models and limited measurements using dedicated network testing equipment. Such a coverage map fails to take into account the characteristics of real mobile user equipment during actual use. With our SafeMove Analytics service we have found that a better approach is to make recurring measurements using the organisation’s actual equipment in production use, such as smartphones, rugged tablets and laptops. Public safety communications consultancy and testing company P3 Group developed a crowd-sourcing application for the Sunrise mobile telecoms operator in Switzerland, for use on buses to measure service on their operating routes; as a result, it won their mobile service contract. The application, which runs on Android or Apple handsets, continuously measures network performance and data speeds. This is improving customer satisfaction, a key factor in reducing churn – and in the context of public safety this could be a credible tool for comparing public mobile service providers as candidates for the emergency services. The Bittium, Airbus and P3 solutions can be classified as “professional grade” solutions for managed crowd-testing. Commercial crowd-testing solutions are also available to load onto a smartphone – examples include Red Square, Qualitest and OpenSignal. RantCell is a similar solution, able to collect 2G, 3G and 4G data on a smartphone and then upload to a central application. Coverage and quality maps can be generated comparing networks. It can be used in vehicles as well as on foot with live location tracking, and can be used with unattended phones. Load tests can stress the network. The second approach is to use test equipment and analysers rather than handsets, installed in vehicles or as static probes. Rohde & Schwarz, and Hytera, offer such solutions. 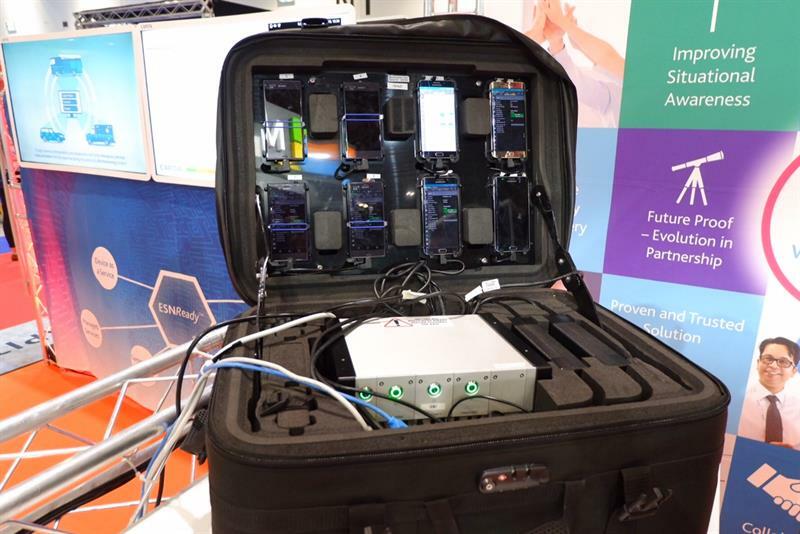 Capita in the UK has integrated the Rohde & Schwarz solution into an easy-to-transport rugged solution recently presented in London (shown below). This can simultaneously test multiple networks and candidate end-user devices. Dr Michael Meincke, Hytera Mobilfunk’s business manager for network testing based in Germany, says its TETRA-testing approach looks at how connection and service issues can be narrowed down to solve problems. It offers the fjord-e-design 8150 RF AirAnalyzer, which measures signal quality and looks at all aspects of the air interface (especially the TETRA protocol stack) in real time. The 8150 RF AirAnalyzer links to a laptop for mobile use and can run from DC as well as AC power sources. It measures real-time signal and voice quality, message sequence, interference, interoperability issues, coverage, and security features. It can work on two frequencies simultaneously, and location data is recorded to create coverage and problem maps. In Germany, BDBOS Division T II 2 tests the world’s largest TETRA network, comprising 4,600 base stations that together provide 99 per cent geographical coverage. “With federal and state police forces, fire and rescue services, disaster response authorities and other organisations relying on this for their daily work, testing is vital both during the building and operation of the network,” says Alexander Lüdtke from its radio and access network planning team. Drive-testing was conducted for each network section after the base stations were installed, including major highways and air-to-ground. Testing is based on a measurement system containing a network scanner and a TETRA radio terminal, with a speech-quality analysing unit. “This enabled us to test all available services in our network. Speech quality, cell-change behaviour and field strength are checked during post-processing. Additional service-level measurements (benchmark measurements) are carried out continuously. All data is used for network optimisation and continuous availability improvement. The average public safety digital radio availability over the last three years is 99.97 per cent,” says Lüdtke. Another project included a 12-mile zone off Germany’s coast (within the North and Baltic seas). Instruments included a network scanner, a radio, a spectrum analyser, antennas and other equipment. “This had to be sea-worthy, which was a challenge,” says Lüdtke. Crowd-testing is clearly an option for testing mobile networks for public safety use. When there is more than one network in contention, road tests may be one tool in the selection process. Once a decision is made then there may be appeals from those not selected, so drive-test tools and any other testing methods must be robust, as they may come under scrutiny. Suppliers in the public safety sector such as P3, Airbus and Bittium bring solutions that could be more appropriate in these cases, and will also be of value in ensuring that key performance indicators are maintained once in service. Special drive-testing solutions from Rhode & Schwarz and Hytera help identify more complex problems once in operation, such as interference and interoperability issues. Clearly, when planning to deploy a new network or to use an existing one, testing is a key element in the process.